I always dreamed of becoming a black belt in Karate. Little did I know that I would begin chasing that dream at the “tender” age of 38. As it so happened, one of my clients at the time was opening his Dojo in the area and with my son asking me about Karate just months earlier everything seemed to just fall into place. Call it destiny if you like. 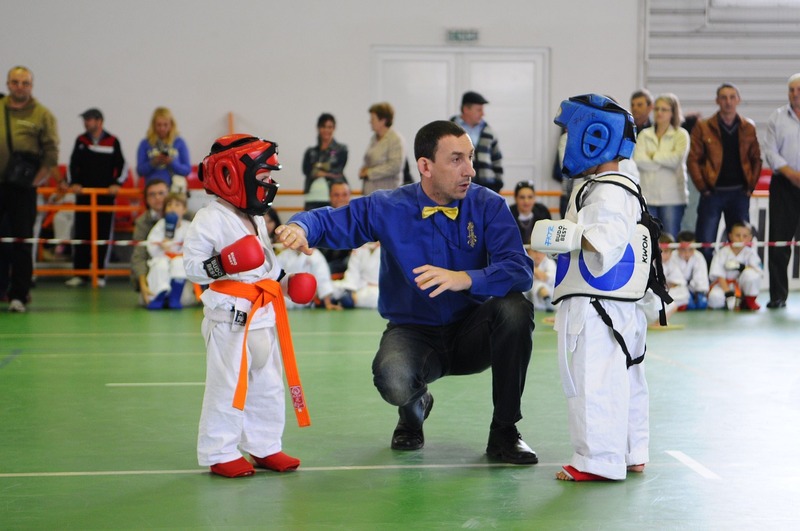 There are not that many people who would start studying a martial art in their late thirties, but I have always believed that the best way to motivate a child is to lead by example. My instructor mentioned to me the other day, that it’s been five years almost to the day that my family and I walked into his Dojo to take our first Karate lesson. I joined for my son as much as I did myself, but these days I find my motivation to attend from within. I have always been competitive and so the lessons bring out the best in me. I originally wrote this post four years ago, but a lot’s happened since then, so I wanted to update it. I remember our first official competition. I remember almost breaking my foot. I remember my son’s first place trophy. I remember mine. And then, of course, holding my black belt in my hands is something I’ll never forget. From white belt to black belt. It all started with that first lesson. Now bear in mind, these are not unique to Karate, there are many activities to which they would apply. In fact, that’s one of the reasons I believe people should find an activity to do on a regular basis for it will teach you much more than you might realize. With that, let me share with you 13 lessons Karate has taught me. When we’re young our body is often operating at peak performance. And as a result, we come to expect it to always be that way. The truth is that life does take its toll. The years of hard work we put it through add up and as a result, we need to take greater care to ensure our health as we age. 2. A good stretch is underrated. In gym class, we always stretched for about five minutes before doing anything and all I could think of was, “Why?” Injuries weren’t something I worried about at that age. Any injuries would heal within a few days. But that was then. Today without stretching my body feels it. In fact, one of the best things about joining Karate is forcing my body to stretch. In today’s fast paced world, one thing we all need to do is find the time to stretch our body. I suppose that’s one reason Yoga has gotten so popular as of late. 3. You’re never too old to start. I remember thinking at the age of ten, “I’m too old to start a martial art.” One of the most common excuses we tell ourselves is we’re too old, but today is the youngest we will ever be. I have seen people take up rock climbing in their 50s. I have seen people start learning a foreign language in their 80s. Studying helps keep us young both mentally and physically. So forget the “I’m-too-old” excuse. The question is are you “man” enough to do it or just too scared of what other people will think. Patience is a critical component of martial arts as it is in mastering every activity I can think of. Too many people have unrealistic expectations in learning something. They want to start today and be masters tomorrow. It just doesn’t work like that. It takes time. It takes energy. It takes guts. But, for those willing to duke it out, the rewards are great. And that’s true of Karate as it is with magic, finance, time management and even being a parent. There was a time when life was simple, today is not it. We’re constantly on the move. We have so much to do and so little time to squeeze it all in. However, in all this busyness, we forget to take the time to just relax. Remember, your body is NOT a machine. It needs rest and relaxation to operate at a high level and that’s why I’ll be getting a massage later today. 6. Karate is as much about discipline as it is about technique. People think Karate is all about power and technique, but one of the greatest things we learn from it is discipline, which is critical for success in any field. Whether you want to be a black belt holder, a professional magician, a success coach, a yoga instructor, you must invest a serious amount of time and effort to do so. It’s not always easy, but being disciplined will allow you to weather the storms and keep you focused. 7. Family activities are the best. As I mentioned earlier, we have made Karate a family activity. No TV, no iPhone, no gadgets, just good old fashioned exercise with an added benefit of self-protection. As the years go on I expect it to become a bigger part of our lives as we improve and understand just how to succeed. The best part though is we push each other on and in doing so become closer. It’s something that is missing in today’s world; family activities. Whether it’s Karate or not, find one and keep at it. 8. Take the time to find a good teacher. One of the best time management tips I give my clients is finding a good/great teacher. There are few and far between but it’s worth taking the time to find a teacher that is not only kind and funny but one that will push you hard and not accept anything less. I don’t and while I offend clients from time to time, they always know I have their best interest at heart. Even Michael Jordans and Roger Federers of the world are constantly practicing and have coaches. A coach doesn’t have to be better than you are, in fact, in the case of the pros they very rarely are, but they give us feedback that helps us perform at a high level which is precisely why finding a good teacher is so valuable. 10. Children are powerful motivation. Some parents use children as an excuse why they CAN’T do something. I can’t study because I have to take care of my son. I can’t keep in shape because I have to take my daughter to her ballet class. I can’t save any money because I must spend all I earn on my daughter’s education. I’m not denying it isn’t easy. I know how hard it is. But I have used my son to motivate me to get in shape. It is precisely because of my son that I started Karate. It is because my son wanted to learn swimming that I now swim almost 1.5 kilometers every Sunday. And it is because of my son that I choose to study success and finance so that in time I will be able to give him the life I’ve always dreamed of. 11. Bad habits are hard to break. As our Dojo grew, the harder it became for our Sensei’s to give each student individual care. As a result, some students have developed some very bad habits and despite doing the same kata many, many times, they aren’t improving. It is said that it takes 21 days to form a habit, and just as long (if not longer) to break a habit. The time to break a habit is early on. 12. Children can do the most amazing things. You just have to give them amazing things to do. Karate isn’t just a martial art, just like magic isn’t just about performing. There’s so much we can learn from dedicating to learning a skill. From discipline and patience to health benefits and monetary gain. Karate may save my son’s life one day, but even if he never has to use it (hopefully that’s the case) he will have learned so much more than self-defense. Finding something that will help you live a better life is always something worth looking for.